Ronald Brilliant handles all Family Law Matters, including Adoption, Custody and Visitation, Support, Dissolution, Separation, Annulment, Modifications of support, visitation and related matters. I also handle international adoption and related immigration matters. Family law involves a range of simple to highly complex legal issues. 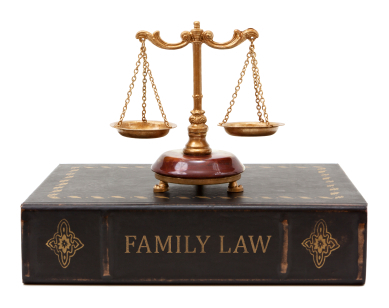 Family law usually involves both an emotional and a technical legal component. A family law issue can often involve the need to consult an attorney about overlapping legal issues such as bankruptcy, real estate matters and other non-family law matters. If you are involved in a divorce/dissolution hearing or preparing for a child custody/child support hearing, you need a lawyer you can trust to handle your case honestly and efficiently. You need someone who is there for you and is willing to prioritize your interests over all else. You may also need an attorney with a wider scope of experience than just family law. The Brilliant Law Office, operated by Ronald Brilliant, has experience in a wide range of legal matters, including family law, bankruptcy, immigration, personal injury, estate planning or other civil legal issues. The Brilliant Law Office located in Star, Idaho, is the firm you should choose. Ronald W. Brilliant, Attorney at Law, has experience in a wide range of civil legal matters. He is focused on reaching the best possible solution for his clients. In all cases, he is mindful to limit the time and resources needed to resolve your legal issues, without compromising your legal rights. Residents of Idaho and specifically the metropolitan areas of Star, Middleton, Emmett, Caldwell, Nampa, Meridian, Boise and Kuna, Idaho and residents of California that need an experienced family law attorney with a much wider scope of civil practice, may contact me by calling (208)914-7150 or by email at rb@brillliantlawoffice.com. You may also fill out the Make an Appointment section to contact me on website.